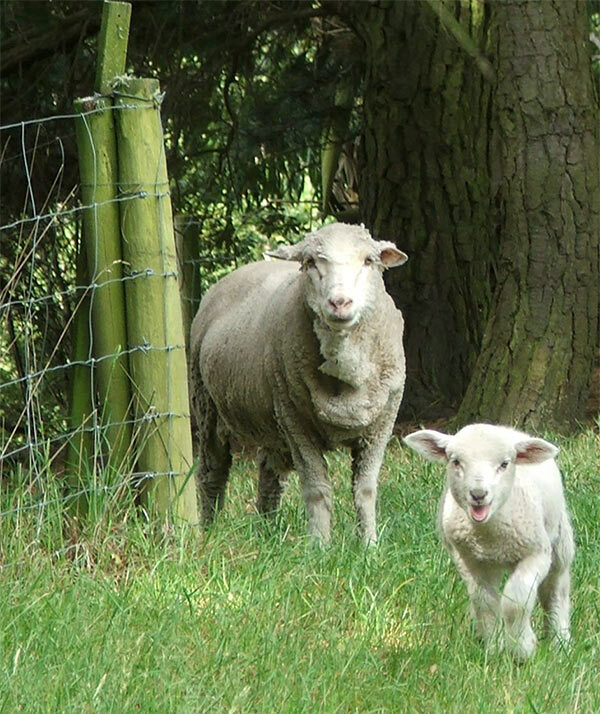 Fred lives in the front paddock with three adult sheep chosen to provide sheep-company - if you could call it that! He grazes with two old merino ewes and George the wether - my very first (and only other) pet lamb - who is now nine years old. The first days were a little traumatic - for the new, terribly responsible pet-lamb owner, at least. Fred was safely tucked up in a large netting cage for his first night at Mooseys. Then he was accidentally watered for four hours by the big irrigation. Oops. The next night it rained. I lay in bed and worried. By the third night I'd organised a roof, and his bottle feeding was going well. It was time to get out and socialise with the sheep trio. But the socialisation patterns of sheep defy deep ananysis. At first when they saw Fred lamb coming the ewes would run away, as fast as they could, as far away as possible. Silly sheep! George the ex-pet-lamb was a better guardian - he's naturally very nosy, and possibly in the deep woolly recesses of the brain he remembers his childhood? A romantic thought, but I'm proud of George's behaviour. He'd stare at the lamb and gurgle a throaty, resonant sheep-noise (sounding more like a bluuuuuuurgh than a baa). 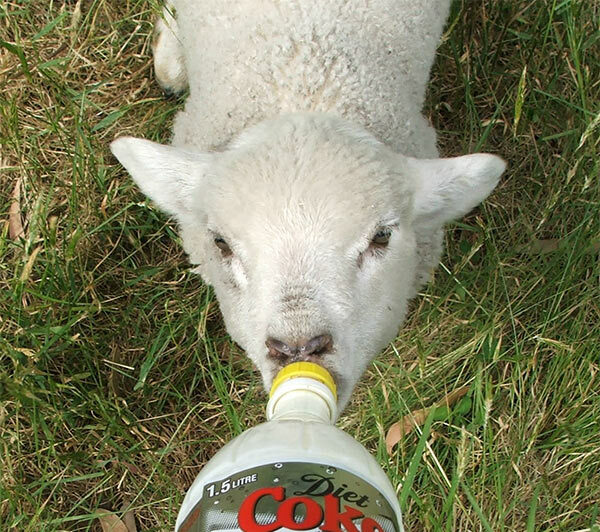 Now when Fred lamb comes to the paddock fence in the mornings to baa for his bottle, George comes too. They both stand and stare at the house, the cute little boy soprano and the wrinkly old contra-bass. A decidedly odd couple. But at least Fred lamb has found a special friend to hang out with. George has been wonderful! Fred lamb was found stuck in a fence up country. His flock (and mother) had been moved - they were long gone. Fred was dehydrated and cut, so my friend (a compulsive animal rescuer) took him to her vet to get his eye stitched, and then began rearing him in her beautiful suburban garden. Fred pruned her roses and began to eat her flowers (lambs love to nibble on dandelion petals). A home with the Moosey flock in the country was offered, and accepted! 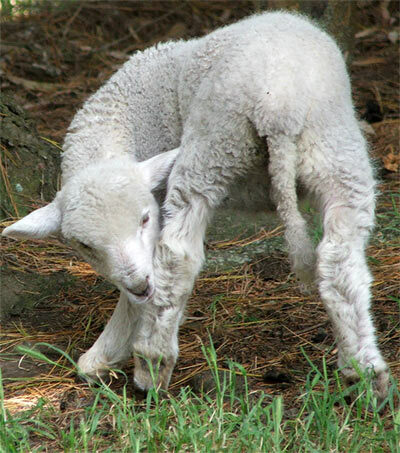 A pet lamb is a fun little friend when small, but sheep get lonely growing up by themselves. Welcome to the country, Fred lamb, where members of the Moosey flock are guaranteed a long and healthy life - no spit roasts with mint sauce allowed!